TechnologyAwakening Expanded Consciousness Through Human Relatedness: Is Technology Harming Our Future? Awakening Expanded Consciousness Through Human Relatedness: Is Technology Harming Our Future? 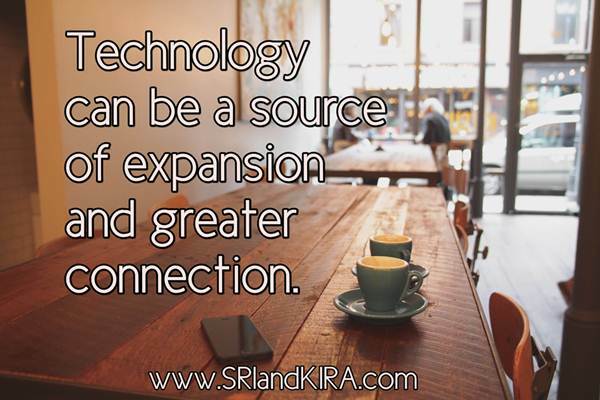 In this episode, Sri and Kira explore the role technology plays in our connection with one another and in our spirituality with Pamala Oslie. They delve into the question, “Are we losing our connection with each other and what does this mean?” They also discuss how humans can harmonize in the face of rapid technological developments. Technology can take what could be a very visceral holistic experience and reduce it to a limited number of characters. But it can also bring us forward and closer to one another. The question is not to rebel against the newness. It is to look at the nourishment of it. Telepathy is our natural state of being and the ultimate return to our natural technology. However, we are habituated to being separate. When we’re texting, we’re forced to use words. Words are actually a disconnect from the energy of the truth. When we connect energetically, we’re feeling the fullness of the connection and the words then can come later. Can Technology Be Actually Training Wheels for Intuition? Technology is interfering with the natural development of intuition because many young people are focused on the word and the screen. However, the fact that we’re just limited to just a certain number of words could actually stimulate a reaching out of the energy, really wanting to know or acknowledge that we have a deeper connection. It could turn into a stimulation to develop intuition. According to the archangelic realm, there are three distinct drumbeats and these drumbeats begin with technology. What the archangelic realm is suggesting to us is not to judge what drum we’re dancing with, but to make room for a new harmony and for all drums. Together, we can overlay our various drumbeats or various orientations and create a harmonious orchestra as opposed to trying to overpower one another. We can look at technology as a way of supporting our humanity. We can also look at it as a way of defining how we interact. 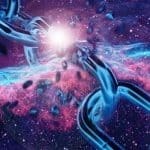 It can be a source of manipulation and misuse, but it can also be a source of expansion and greater connection. People who were raised without any of today’s technology now live simultaneously with generations that are being born into the vastness of technology. When these generations come together, we can allow ourselves the mutual respect. We have so much to learn from one another. When we can meet each other in the harmony of playing drums and dance together, that’s where the miracles can happen. That’s where we can harness these blessings and co-create a future that’s not so scary. We must use technology to allow us to connect with each other, to respond and co-create a world where there’s room for everybody. Harmony is the energy that we’re invited to embrace. We can harmonize. We just need to bring a little attention to it and bring a little fullness to it.